A mong all of the awesome things to see and do in Thailand, this is one festival you do not want to miss, Every year on the night of the 12th full moon of the traditional Thai Calendar, in the northern province of Chiang Mai,about 20 Km. out of town at Mae Jo University you will find the Yi Peng Festival, after an hour long meditation and prayer. 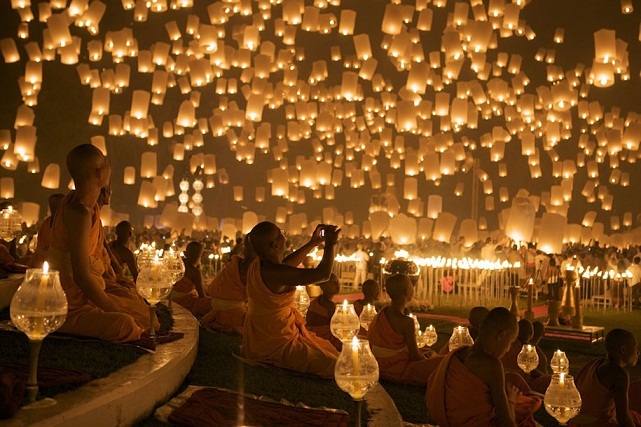 all of the participants ( monks as well a spectators) along with the steady peaceful rhythm of traditional Thai Music, release thousands of hot air propelled rice paper lanterns into the air Creating a breathtaking night sky. The Release Takes place on the grounds of the Mae Jo University, Keep in mind that this event is a Buddhist celebration , so suitable clothing should be worn. Lanterns Can be purchased for around 100 baht ($3.20) . The Festival is free and gets started around 6 pm. I have heard of other travelers buying there lanterns prior to the entrance, just to have them confiscated, upon entrance, so it may be worth it to wait till you get inside to buy your lanterns. 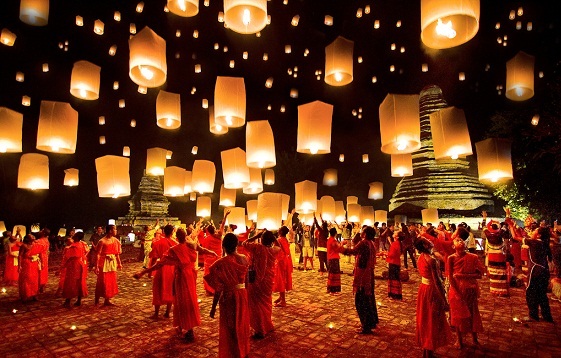 So this year if you happen to be in northern Thailand on the 16th of November 2013 Come enjoy the festivities, and get yourself a rice-paper lantern and release your troubles away into the Thai night sky. The views will be sure to leave you breathless.